Golden Hour-Weekly Photo Challenge – Dancing in the rain! 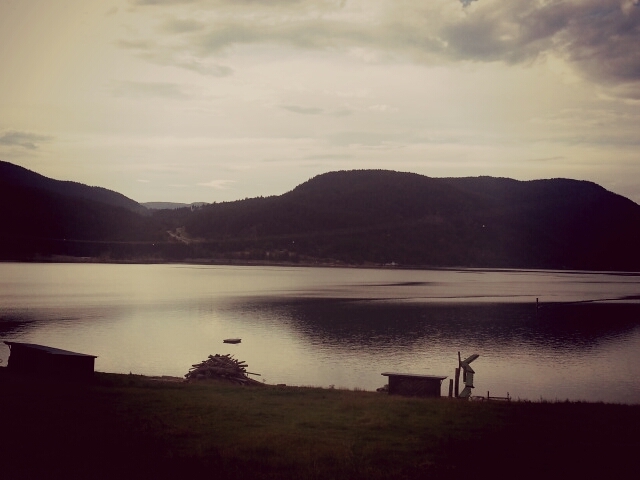 This picture was taken on our recent trip to the West Kootenays, in a little place called Faulkier, British Columbia. This is the lakefront at a 100 acre orchard nestled in the woods along the Arrow Lakes. I caught a picture just as the last bit of daylight was retreating into the summer evening sky. It was. It was so quiet without the sounds of the city. I slept like a baby. Just beautiful. So tranquil and peaceful.